The leadership from Goodwill was tired of it’s existing brand and wanted something that was youthful; something that hinted at the organization’s foundational values. Focal Point took this youthful, playful notion and ran with it. We reinvigorated the Goodwill brand with a look that complimented the organization’s roots while staying current with today’s trends and styles, making sure that it had longevity. This new “look” would be integrated into all facets of Goodwill’s brand, internally and externally. With such a diverse target audience, Goodwill’s television campaign really needed to speak to everyone. Focal Point was tasked with developing a cohesive campaign with three key focuses: donation, shopping, and community. These three concepts are what Goodwill was founded on, and we made sure the campaign communicated that. The commercials carry out the new brand objectives and have received high praise from Goodwill customers. 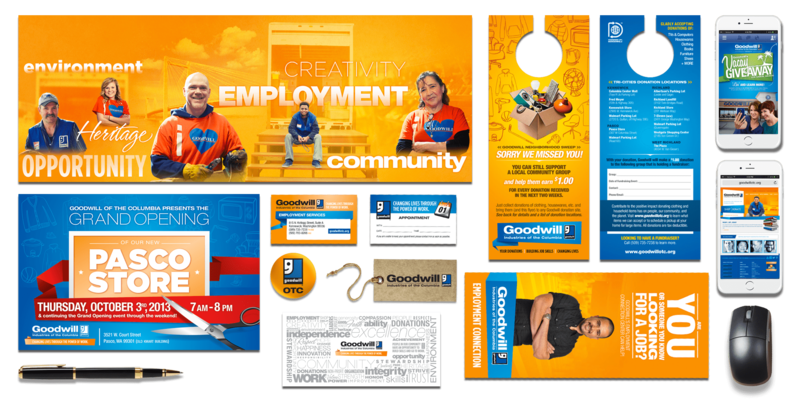 Starting with a series of templates that Goodwill staff can use internally, Focal Point revamped all the print collateral. These easy-to-use templates are cost-effective and allow Goodwill employees to create materials on a day-to-day basis. We also completed numerous direct mail postcards, a 3-part print ad campaign, a brochure series, in-store signage and more. It is so important to have a dynamic website in today’s marketplace. 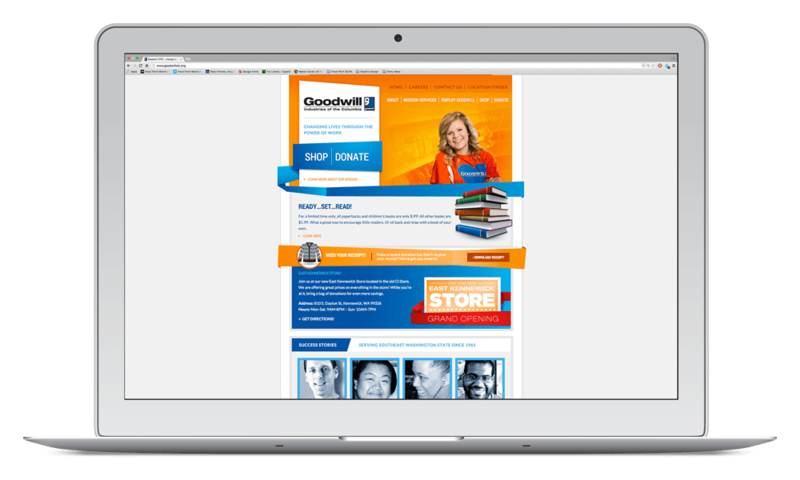 Focal Point worked with our partners at Goodwill to design and develop a website that followed the new brand strategy that was both informative and engaging. The end result was just that – a visually fresh website that told the Goodwill of the Columbia story in a new way. The result was a satisfied client, committed to a long-term digital partnership that seeks to constantly evaluate and improve upon site performance, prioritizing providing the end user with an optimal experience.